This guide describes steps required when updating from one Tapdaq Plugin version to another, its recommended you perform all the steps to prevent any issues or conflicts. 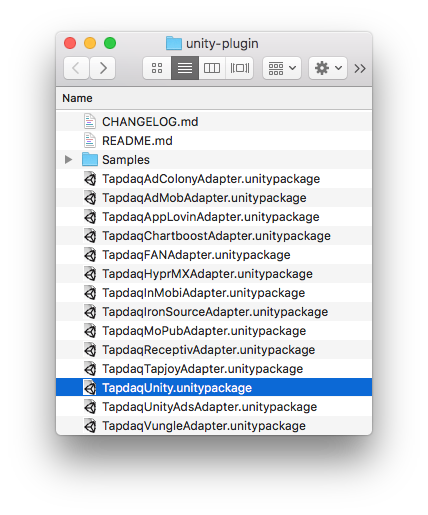 The following guide explains how to upgrade Tapdaq's Unity SDK between each version. This will remove all of Tapdaq, adapters and SDK dependencies, there is an option to keep your settings, so you will not have to re-enter your appid, client key or placement tags. For each ad network you are using, please import in the corresponding Adapter.unitypackage. This section notes any changes that need to be made when upgrading to specific version. Placement tags are no longer need to be registered, they have been removed from the Tapdaq settings panel. They are however still used for loading and showing ads. didFailToDisplay will be called after calling showAd (Interstitial, Video, Rewarded Video, Offerwall) if there is no ad to show, or the ad is unable to display. An error will be provided. Replaced Init methods to allow data to remain unknown if not retrieved from the user. Before importing TapdaqUnity.unitypackage delete the PlayServicesResolver folder from the Assets folder to prevent having duplicate/conflicting versions in your project. Alternatively do not import the PlayServicesResolver folder if you want to keep your version. iOS app will crash if methods that do not specify placement tags are used. The workaround is to specify default placement tag when loading an ad, showing an ad or checking if an ad is ready to be shown. Receptiv requires Android lifecycle events to be passed back to their SDK. This may be used by Tapdaq, or by other adapters in the future. You can read more about lifecycle methods in our Quickstart guide. AdManager.OnApplicationPause must be called from any MonoBehaviour object script in each scene. Read more about OnApplicationPause unity method here.